Jo made it easy for us to understand the legal side of a marriage and explained the importance of this without it sounding to full on or daunting. She was very good at understanding what kind of ceremony we wanted and helped us with suggestions along the way. We would highly recommend Jo to anyone looking for a celebrant. 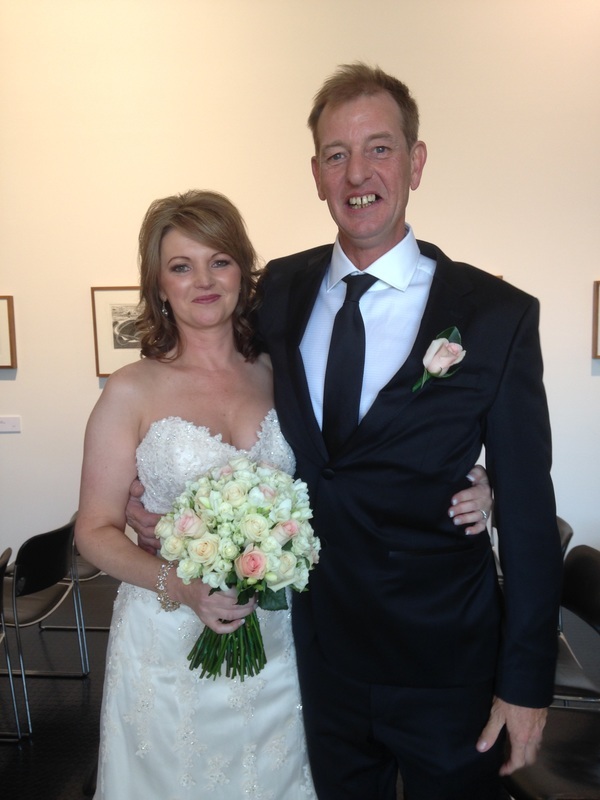 Jo did a wonderful job with our wedding ceremony in Port Fairy on the weekend - we could not be happier with our day. We want to thank you Jo for making our day hassle free. We love the way you made it all run smoothly and helped us have the ceremony we were hoping for. We would gladly recommend you to anyone looking for a celebrant, you are very open and approachable and helped us with the wide range of ideas and information you shared with us from start to finish. We loved that you gave us the time we needed to get things organised from our end. On the day of our wedding you were a calming and positive influence - you made everyone feel relaxed and you spoke in a very professional way. Because of you, our day was truly memorable. We felt a very comfortable connection with Jo that made us feel at ease with the planning process - there was no questioning what we should be doing, or when, as Jo made every effort to stay in touch and keep us informed. Jo, you have been very friendly and explained everything clearly to us - you spent time getting to know us and provided us with a wedding plan that was perfect. Having the rehearsal the day before was really good. We loved the Sand Ceremony and the Blessing of the Hands and were thrilled that our ceremony went really smoothly. Many people commented on what a great job you did of making our ceremony unique. We just wanted to say thank you for helping us make our day completely perfect. Jo definitely got to know us and wrote up a ceremony that was fantastic and very 'us'. Jo was very easy to communicate with and made us feel like everything was under control with no stress. Our wedding was perfect. Jo, your interactions before the wedding were professional and you always indicated what needed to be done next. I loved that everything was organised a month before the wedding and that took the stress off. You went beyond the ceremony and made sure we were OK before you left. You gave me the confidence to know that I could get through my vows knowing that you were by my side if I needed assistance. I would definitely recommend your services to anyone getting married. It was easy to discuss our plans with Jo and she personalised our ceremony to suit us. Jo listened to what we wanted for our ceremony - when we first met, Jo suggested a number of inclusions but once she knew this was not our style she happily supported our choices. We wanted simple and relaxed and this is exactly what Jo provided and she was always supportive during the planning stages. We loved the attention that Jo offered us and the little personal touches (like the frame and help with Jayla's reading) made our ceremony very personal. Jo was lovely and super friendly, very relatable and always made us feel comfortable. We gave Jo a few ideas and she made our ceremony magical. Jo was easy to talk to and listened to exactly what we wanted. Your professionalism was wonderful and we thankyou so much for all your help before and during our ceremony. Jo, your friendly smile won us from our first meeting. Jo, you calmed us so much and made us feel so prepared before/during our ceremony. Your preparation was faultless and you made us feel like you belonged as part of our family. You made an overwhelming experience lovely and so many of our family and friends made comments about how perfect our ceremony was. We loved you.....thankyou for being a part of our most special day. We had so many lovely comments about how personal our ceremony was and how much it reflected our personalities. Thank you so much for your guidance, you let us know exactly what to expect and you were so flexible working with us from overseas. Jo was very approachable and relaxed which made it easier for us to feel comfortable. Thanks Jo, you were great and made our ceremony the perfect setting that we envisaged. Jo, you personalised our ceremony by really getting to know us and asking relevant questions. Our ceremony was all about us, not just read off a script. We wouldn't change a thing - our ceremony was perfect. Thank you. Thankyou so very very much Jo for being with us to renew our wedding vows after 25 years - it was a beautiful ceremony. You did such an amazing job and touched our hearts with your words. After telling you a few bits and pieces about our 27 years together you condensed it into an amazing ceremony full of laughs and tears.....it truly was beautiful and we can highly recommend to anyone who is "thinking" about renewing their vows and re pledging their love to each other that Jo does and amazing job. We could tell just from over the phone that you were the right celebrant for us. You understood exactly what we were looking for in an elopement ceremony. You used your knowledge and experience to put together a ceremony that was exactly what we wanted. Thanks so much Jo for all your support and advice in assisting us to get married. We both felt very at ease with you at every meeting/phone call. You had great ideas (our vow to the children was pure genius!) and understood our wishes, making connections with our personalities. Jo, you are such a bubbly and lovely person and that helped make our day what it was - perfect! You had wonderful ideas and filled our many blank spaces by asking simple questions and you turned what we thought would be a stressful event into a clam, relaxing and fun ceremony. We'd both like to express a gigantic thankyou to you for shaping our ceremony into the delightfully memorable experience that it was. We greatly appreciated the ease of communication, being that we were planning our wedding day from overseas, and we were hugely appreciative of your laid back approach to making our suggested changes so late in the planning process. Our ceremony felt both natural and sincere and your professionalism through the entire process was first class. We were very happy with your service and found you very easy to work with. We will definitely be referring others to you and look forward to planning our son's naming day with you in the near future. Thankyou so much for doing an amazing job in that heat - our entire ceremony was exactly what we wanted and we could not be happier. We thought you were extremely professional, warm and provided us with clear information about your role as a celebrant and gave us an outline of what a wedding ceremony entailed. On the day you helped us enjoy our wedding ceremony and it was conducted exactly as we had hoped. Thankyou for contributing to making our day one we will never forget. Thank you Jo for everything that you have done for us. It as truly an amazing day and we are happy you were a part of it. You are very knowledgeable, outgoing and you helped make our journey to marriage easy. We really liked that you guided and made suggestions but that at the end of the day it was our decision which made our ceremony exactly what we wanted. We loved the wording of our ceremony and vows. Our day was fantastic, Thankyou !! Within 2 hours of our meeting we felt like you had known us for years! Nothing ever seemed to be a problem and I felt like I was always up to date as to how things were progressing. During the wedding, you made me laugh therefore stopping me from having a breakdown in front of all my family and friends!! We've had a lot of positive feedback about our ceremony including.... "just perfect for you two".... "how long has Jo been a friend" .... "the celebrant was excellent". Thank you so much for everything. You always made time for us, you gave personal insight and advice and you made our planning fun. We felt you were so right for us and have no regrets engaging you for our wedding. Thanks for everything Jo. From our first meeting we felt very comfortable with you and trusted that our ceremony would be everything we hoped for. We found the initial pre-wedding meetings to be very useful and really helped us create the right ceremony for us. Your taking the time to get to know us as a couple was really pleasing and we think this contributed to the final content of our ceremony and the fact that so many people have since commented to us about how personable the ceremony was and that it was very "Tim & Carly". We often feel that wedding guests comment on how good the reception was - ours certainly had a really good time - but we have had many people say how much they enjoyed our ceremony, which you don't often hear. Thanks Jo - you made our day magical! During our ceremony we were both very nervous and you made it easy for us with your kind comments. Thanks so much for everything - it was amazing! We loved having you as our celebrant. Thanks for everything Jo - you are an A+ in every regard!! Thank you for a beautiful ceremony on Friday night - it was so lovely. It was a very relaxed ceremony, like us and our guests commented on it being 'us all over'. Thank-you again for being part of our special day. Thankyou for everything over the last couple of months, and especially yesterday. We really appreciate all the hard work and effort you put into our ceremony to make it as much a part of us as possible. THANK YOU very much for being such an important part of our wedding day. We had a truly amazing day - we even got a rainbow - such a wonderful, wonderful day!!! When we first saw your photo on the internet we wondered if your style might be a bit more 'formal' than we were looking for, but from the first phone call you have been lovely, warm and flexible. You were always available to meet with us and very happy to tailor a ceremony to our needs. Thank you for marrying us.........Gabrielle and Mark. Our wedding day could not have been better. Everyone just loved our service. Thank-you for helping us say our vows together and for staying afterwards to chat with our family and friends. We will always remember your kindness and help throughout the planning and then on the day of the wedding. Thank-you so very much Jo, you were wonderful. Audrianna's Naming Ceremony - Everything you did was perfect - great communication throughout the whole process, great understanding of everything I wanted the ceremony to reflect. You were great in the way of understanding what I, being a single mum, wanted for the ceremony . Thank-you for your patience. You made the day beautiful with the ceremony you created and everyone commented on what a great job you did. Thank-you again for everything. Sienna's Naming Day Celebrations. Thank-you so much for your service, we look forward to working with you now as we plan our wedding. Lydia's Naming Ceremony - We found you very professional but also very easy to get along with. You were fantastic in every way. We were very satisfied with Jo's presentation and professionalism and would happily recommend her services to other couples. Jo handled the whole process with a professional and caring manner, from planning all the way through to our special day. Jo made it a stress free experience and helped make our day all that more special. Thank-you very much for all your help Jo. You really helped us make our special day everything we dreamed of and more. Thanks again, Stacy and Steven Wood. Thank-you for creating such an amazing service for us. We believe that you really understood us and brought that to our ceremony. We had some of our guests comment on your professionalism - so well done and thank-you. Bec & Peter Marra. Thank-you very much for all your help. Even though there were a lot of hiccups and problems on the day, what we wanted happened in the end. Thanks Jo, everything was perfect. You were such a pleasure to work with. We had so many comments about how original and beautiful our ceremony was. It was really important for us to be able to write a ceremony that truly reflected our beliefs, feelings and style and together with your help - we nailed it! We were both dreading the formality and stuffiness of most wedding ceremonies, but you really listened to what we wanted and allowed us to craft something very special and left us with a ceremony we were both so proud to call our own. Thanks so much Jo, you're the best!! We really appreciate the thought you put into our ceremony - ie bringing the Dr Suess book for the reading/the wording around using Nick's father's wedding ring and the significance of this. These are small examples of your attention to detail, which was apparent through all our interactions with you and ensured a great experience and personalised ceremony. The only advise we would give is that it would have been more convenient to arrange payment further in advance. Thank you so much for Monday - it was just wonderful and we had a great time celebrating and seeing in the new year. Eunice and I were very happy with how the day went and that you did the service for us. Thank-you. We would happily recommend your services to others. We really enjoyed having you as our wedding celebrant. You're young, understand where young couples are coming from, how to prepare their ceremony to suit their personalities and make sure it's all about the couple! You were easy to talk to and available to contact with any questions at any time of the day. This made our wedding planning very easy. We had no doubt you had the ceremony under control and pulled it all off without a hitch!! We're still receiving comments about how lovely the ceremony was - thanks again. You understood and respected exactly what we wanted for our wedding ceremony and did everything possible to make us feel informed, relaxed and supported. We also loved the way you framed our personalised vows for us and laminated our ceremony. Thank-you Jo for making our day relaxed and special, just the way we wanted it. We couldn't have hoped for a better celebrant to fit our needs and personalities. Thankyou so much for facilitating and guiding us through the renewal of our marriage vows. happy for us, it was a great night. We can't thank you enough. Thank-you SO much for the wedding, it was just wonderful. You made it just so easy and lovely and I have to tell you that there were a lot of comments from our guests about you - ALL GOOD!!! WE had an absolutely perfect wedding. Again, THANK-YOU.........you were amazing. Thanks for helping us with our ceremony. I was lucky to have picked a great team of "can do" people (which included you) to help me - who I could rely on to get their job done and done properly, and this is ultimately why the day was such a success. Thanks Jo for your advice and input into our wedding ceremony. We realise that "our way" of doing things wasn't quite the "norm" but we were grateful that you allowed us to make it our own (which we've heard so many other celebrants don't quite do). I will recommend you to anyone I know getting married who needs a celebrant. Thank-you so much for making our day so special. It was great despite the heat and everyone had a blast at the reception with the beach so close they could go for a swim to cool down. You helped make this very easy and stressfree in preparing the ceremony - particularly given that we live in Melbourne. You offer a very professional service whilst also being friendly and personal. We highly recommend you. You did a fantastic job, thanks again for making our day so special. Thanks to you Jo, our day went so smoothly. You are amazing. 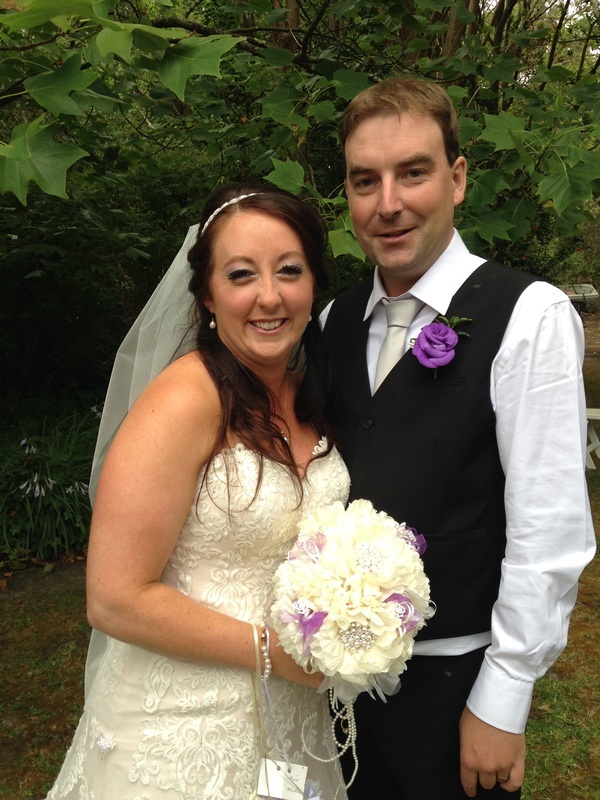 You were wonderful to work with Jo and Dave & I were very very happy with our ceremony. We were very satisfied with both the content and presentation of our ceremony and also very satisfied with the cost of your services. Dave and I thoroughly enjoyed our day. Thanks Jo for such a fab ceremony. Good Luck with your business as you are obviously in the right job for you. Thank-you for everything you have done for us Jo - the day was very special. I just wanted to say how caring and understanding you are and I will always remember how easy you made the entire process and how the day came together perfectly. Thank-you for all the time you put in and the suggestions and support you were able to give along the way. Heart felt thanks. I wish you all the best in the industry. Thank-you so much Jo, we had a wonderful day and you were a fantastic part of that. We appreciate all the time you took to personalise our day. We can't thank you enough. We have already recommended your services to others. Thank-you Jo for being a part of our day and making it wonderful. Thank-you so much for making our day so special - the whole day was just magical and we can't thank you enough. Alex's Naming Day and 1st Birthday Celebrations - Jo was a pleasure to deal with and very professional. We would definitely recommend her services to others. Our naming day...Jo is a lovely person, not pushy, very down to earth but organised and professional. We had so many comments about how lovely our service was and that is thanks to the work you put in Jo - you made sure that it was exactly what we wanted and it portrayed us perfectly! We couldn't have been happier with the ceremony and we thank you for all that you did to make our day perfect! Jo, you were wonderful. We couldn't be happier with the way you conducted yourself. We have recommended you to other family members and friends. Thank-you very much for the beautiful ceremony you performed for us. It was lovely and just what we wanted. We appreciate the time and effort you put in to make our day special. Thank-you. We were both thoroughly satisfied with your service during the whole lead up to our wedding and especially on our wedding day. Everything on the day was just perfect. Thanks again for everything you did for us. We have no hesitations in recommending you to others. Thanks for being so wonderful with all the extras and helping us relax.....just brilliant. Thank you for being you. Your whole approach to the service you offer was faultless. We wouldn't change a thing. Your personal attention to the little things (Natasha's hair and Paula's hair piece was a nice touch). Thanks very much for your efforts to what was a successful and memorable day. Jo is a fantastic wedding celebrant. Lots of little personal touches were such a nice surprise and nothing was every too much trouble. Thank-you so much Jo, for everything you did for us on our wedding day, you really did go out of your way in a lot of ways on our special day and we just want you to know that we are very grateful. Jo, I was over the moon with your professionalism and personal touch. I was not looking forward to going through the pomp and ceremony once again as an older bride with 4 (gorgeous) children. Your help in making the ceremony tasteful and memorable has been really appreciated. Thank-you so much for all your help and patience while we prepared for our special day. I will highly recommend your services to any future bride and groom. Thanx for a super day and lots of fun on the way. I think we got along really well, I was definitely comfortable from the first conversation we had, you made it a lot easier and less nerve racking for Chris and I in the lead up to and on the big day! Thanks Jo! Thanks Jo for a wonderful day, your organisation and professionalism made it very easy for myself and Leigh to enjoy the ceremony. The written ceremony was beautiful and I think it reflects what marriage means for us and our generation. Once again thank you for being a part of our day. Very happy with the service and all the help provided before the wedding. Very professional on the day and made everything easy for us. Thanks Jo!!! We had a brilliant day, it was just perfect!! The certificate in the lake episode was a great laugh and will be a good story for many years to come I'm sure! Thanks again for everything you did, it was wonderful! Thank-you very much for naming our little girl. We would like to say a huge thank-you for your services. We found you to be very approachable and accomodating to our needs as well as offering good practical advice considering we didn't really know what we wanted at the start of our journey. You were the first celebrant we enquired with and after our first meeting with you knew we didn't need to look elsewhere. Many people commented on the relaxed presentation and atmosphere, so I felt you really took on board my casual nature and request for a "laid back ceremony with a touch of fun" and you took that idea and ran with it - much to my delight. Most pleased and very happy to have chosen the right celebrant for our day and wouldn't change a thing about the day at all. Two happily married and satisfied customers indeed. 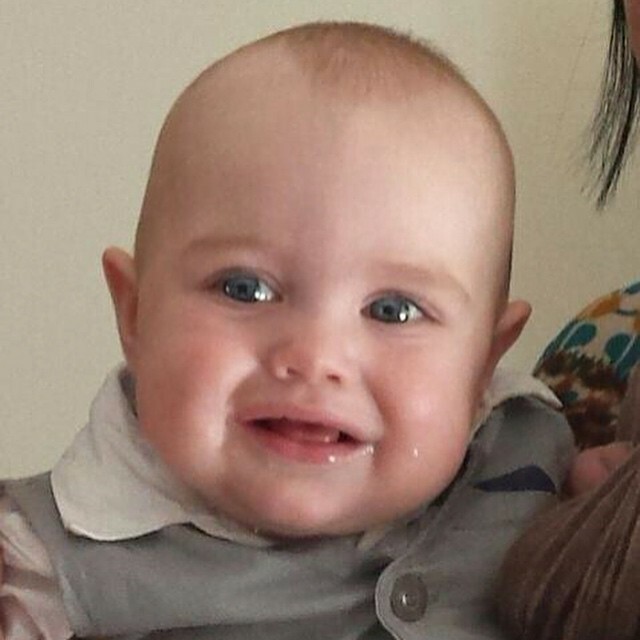 Thank-you very much for conducting Fergus' naming ceremony on Sunday March 1st. We all think you did a wonderful job & it was exactly how we planned, nice & relaxed with a few family & friends. We really appreciate the effort you went to.